It starts with a sketch! January 19, 2019 January 19, 2019 Kathleen Adams1 Comment on It starts with a sketch! So here’s how I made this card. 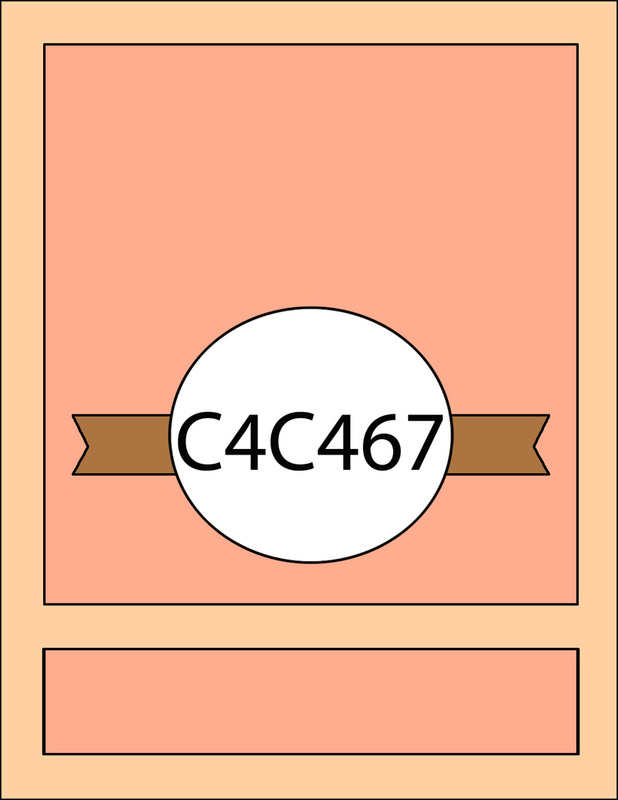 Step 1: Make a card by scoring an 8.5 x 11″ piece of cream cardstock at 5.5″ on the long side. Trim to 5.25 x 7″ with a book fold. Cut a 5″ square from a designer paper and adhere it to the top of the card leaving a 1/8″ margin. Place the 3rd to the smallest die in the set and nest it inside the larger one. Tape the two together and a tape the nested dies on brown cardstock and cut with your machine. 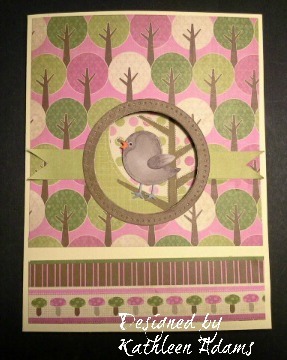 The result should be a circle frame for the circle you will cut into the front of the base card. Do this a second time for a frame for the inside front panel cut out circle. I cut a panel from the right side of the of the paper that measures 5 x 6.75″. 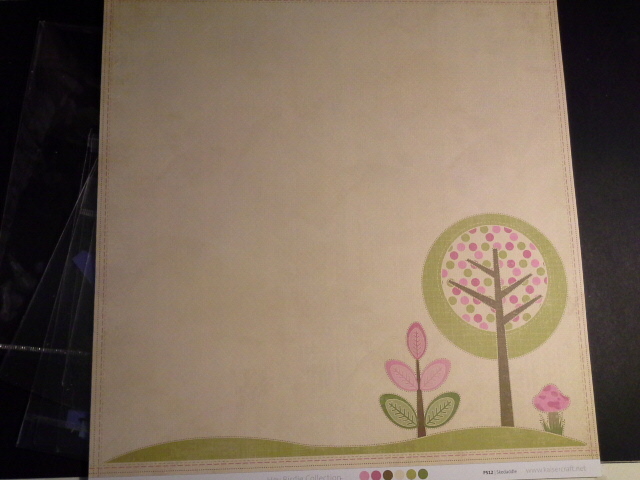 (measure from the bottom up to include the whole little tree scene. Cut the same size panel from the leftover left side that also measures 5 x 6.75″. I used a die to cut out the “Hello” sentiment from a die set that I don’t know who the manufacture is. 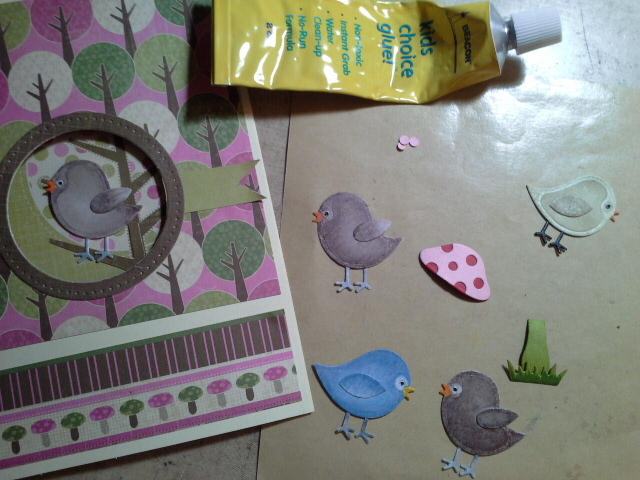 The last step is to adhere the birds, mushroom and sentiment tag to the inside of the card as shown. Thanks so much for stopping by. 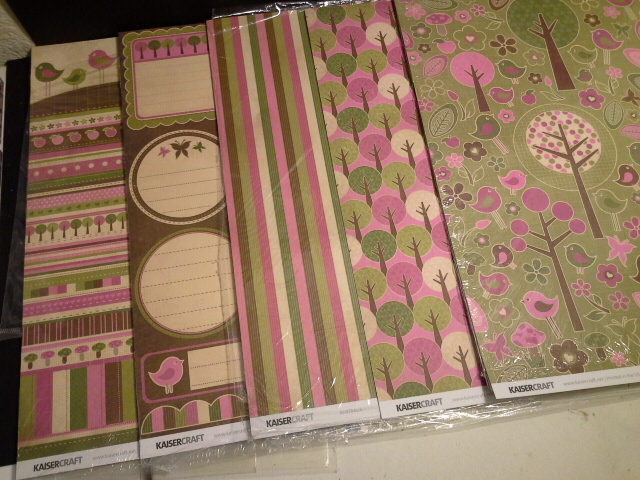 I doubt the KaiserCraft paper I used is still available but one of my New Year resolutions is to use more cardstock and paper I already own before I buy more. Yeah, that resolution will last until February! Previous Make a Humorous Card! So much creativity in this card…love the composition, especially the window to the inside and the die cuts on every side. 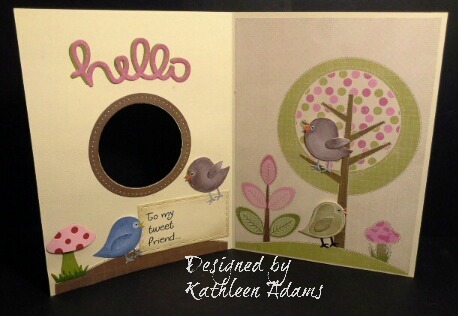 Bravo, Kathleen, for presenting another great card and tutorial.